Funerals are not just meant for the dead but for the living as well. 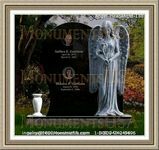 They provide an opportunity for the living to memorialize their loved one as well as to accept the fact that he is forever gone from their midst. 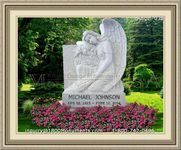 Giving an opportunity for close family and friends to pay funeral tributes is a good way of honoring their loved one. Be mentally prepared for the task. Even if you know the deceased person well, public speaking and your grief can make the task tougher. Take time to organize your thoughts and plan what to say. If possible, write down the speech as it will guide you along. 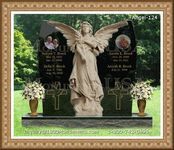 Include some of the major stepping stones and achievements that the deceased had. Share stories and memories of the deceased person that many people who have attended the memorial service can identify with. Research about the deceased so as to find out as much about them as possible before giving your speech. Talk about the impact the deceased had on your life and in other people's lives. Highlight any life lessons you learned from them. Allow yourself to speak from your heart. Remember to introduce yourself and state how you are related to the deceased as other people may not know you. Don't be afraid to cry or show some bit of emotion. However, do not let your emotions get so out of hand that you are unable to continue with your speech. Try and provide comfort to the deceased friend and family whether directly or indirectly through your speech. Know the time limitations that you have. Find out how many minutes you have to talk. This is because there are usually many other people who also want to give funeral tributes too. Your speech should be short enough to effectively pass across the message you want.